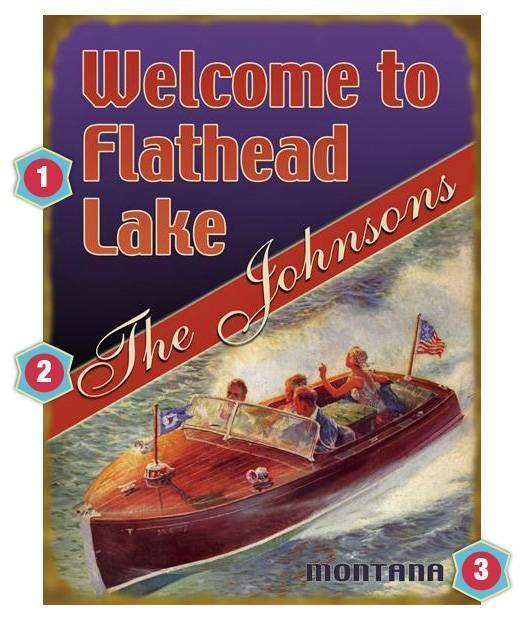 Options: Wood 17" x 23" Metal 17" x 23" Wood 23" x 31" Metal 23" x 31" Wood 28" x 38" Metal 28" x 38"
Give your lakehouse some personality with this boating sign customized just for your lake. It's available in three sizes, it can be ordered in distressed wood or metal, and it's painted in bright, fade-resistant inks. 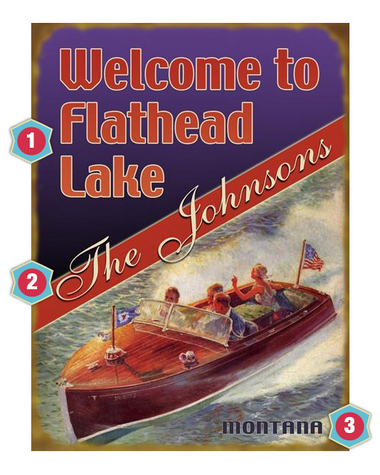 Your boat sign can be personalized in three different spots; add to it your body of water, your name and your state, or get creative and use whatever text you'd like! Enter your personalization as you would like it to appear using capital and lowercase letters, numbers, punctuation marks and characters. Do not type using all capital letters or all lowercase letters unless this is how you want the item to appear. And please review your personalization carefully, as your gift will arrive printed with the text exactly as entered. Love lakehouselifesytle!!!! Excellent and courteous service with prompt delivery!! Quality products....so beautiful in our new lake home! Just got our personalized lake sign in the mail and my wife loved it! Beautiful addition to our lake cottage. Worth every penny and the wait.